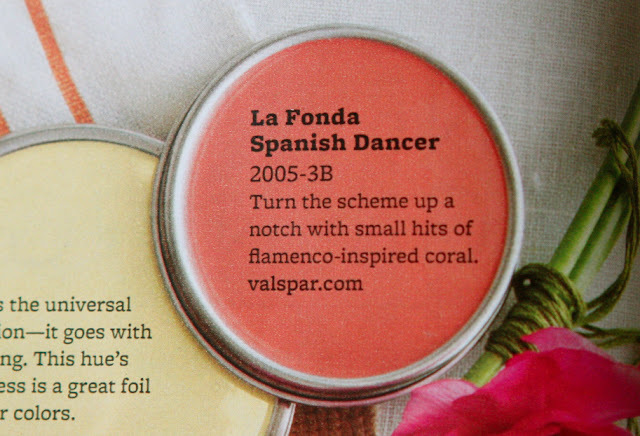 I stumbled upon the hue "La Fonda Spanish Dancer" (haha!) by Valspar in a recent Better Homes and Gardens. 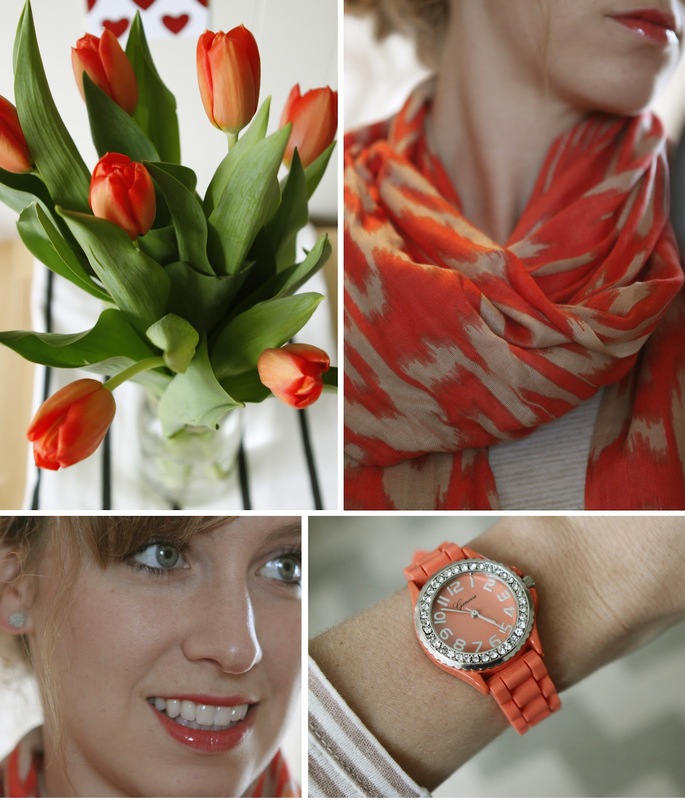 It's such a bright, happy and fresh hue for spring! Now, I've realized I own alotta La Fonda.